If you don't know about this amazing organization with incredible humans providing humanitarian aid for desperate refugees fleeing violence, poverty, u.s. intervention and attempting to cross one of the most harsh, unforgiving desert environment in our country. 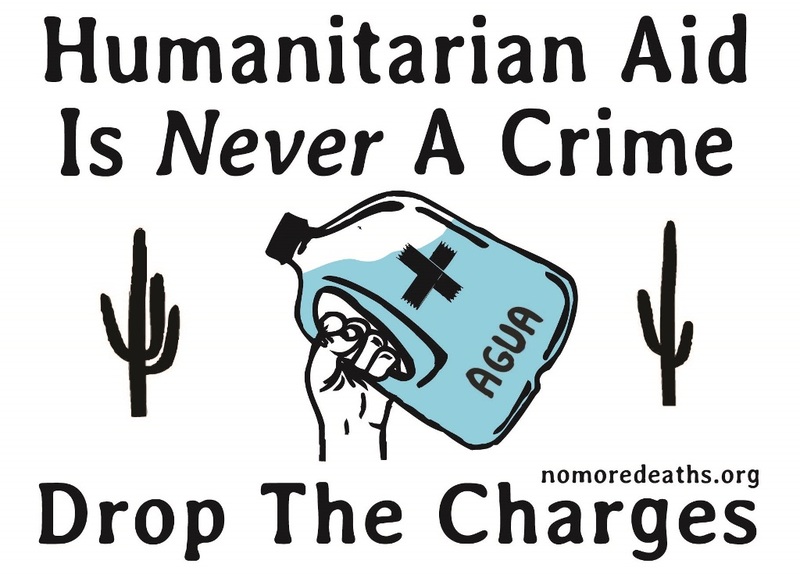 Recently nine volunteers were arrested by Border Patrol and four have been tried and convicted in the court that said 1) it's okay to allow human beings to die in the desert; and 2) it's okay to criminalize those providing water for humans. We cannot allow this to continue. This is directly tied into tRump's increasing repression of immigrants and now of humanitarians. The trials of the next five are going to happen this month - and the sentencing for the first four should happen before the end of February. 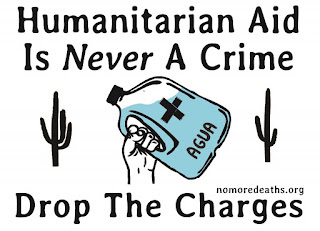 We cannot allow all our energy and/or focus be towards supporting these incredible volunteers - we need to keep focused on those who are dying in the desert and providing humanitarian aide - but we should also try to call the judge and No More Deaths to find out how to best support both their work and the arrestees!